If you're going to get yourself a machine with a great CPU, why not match it up with a top dog display? Many times people ignore the value of a great display. 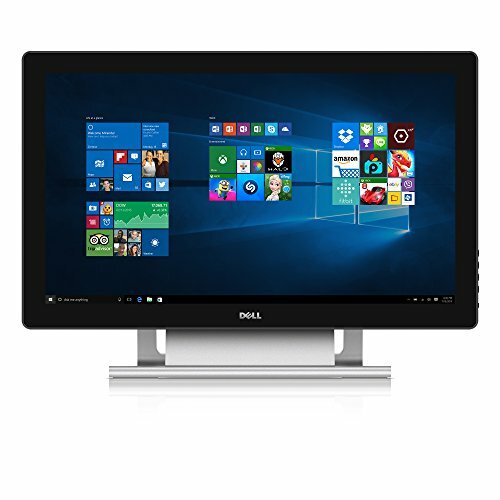 It is true that getting a quality CPU machine is the number one priority, but with an old or poorly equipped monitor, your computing experience is bound to be limited. 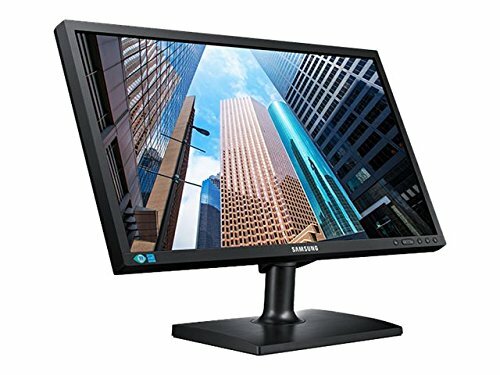 Whether you are using your computer for gaming, watching movies, editing clips and photos, or just regular office work, an excellent monitor will boost your interest on the task and enhance your experience. 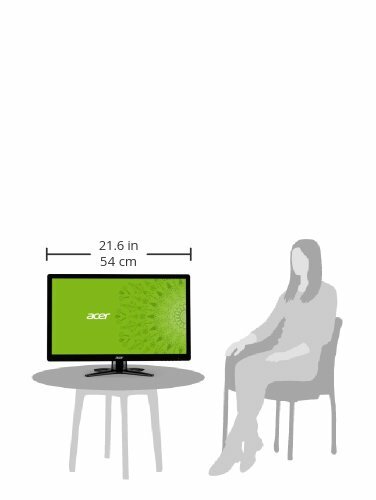 You may be wondering why we are only focusing on 23 inch monitor models. Well, generally, this size is the most popular in the market and has, perhaps, the most variety. There are some models which are aesthetically superior, while other models excel in their performance. 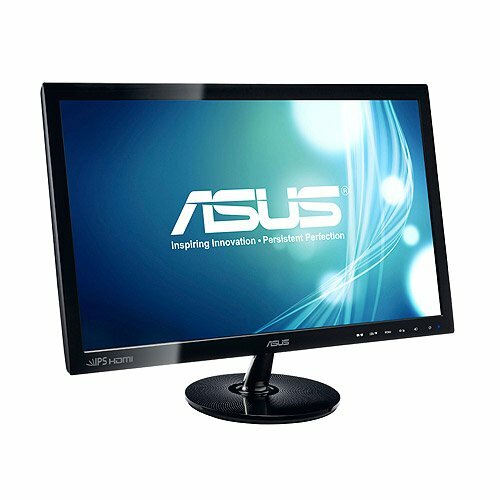 Others are budget models and make a good choice for budget PC users. 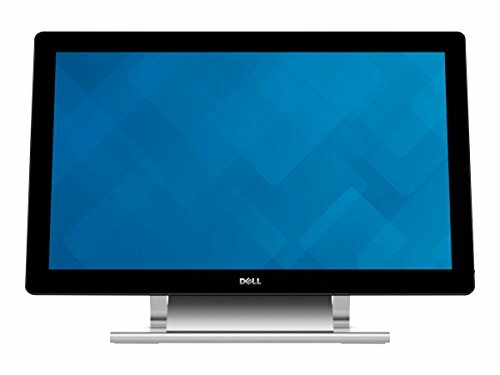 Overall, the monitors in this specific screen size have a lot to offer for everyone. 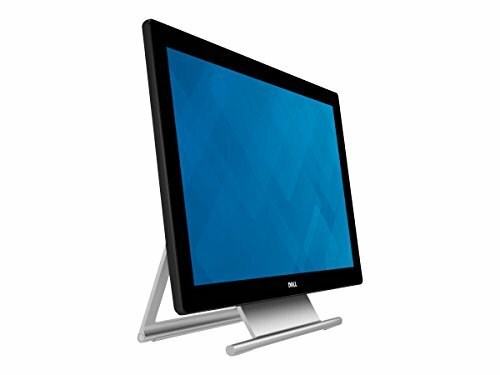 Usually, all the best 23 inch monitors come in modern design and up to date specifications. 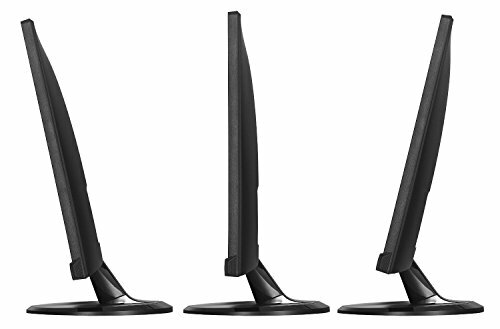 Some are even ‘bezel less’, which makes them ideal for multiple monitor systems. 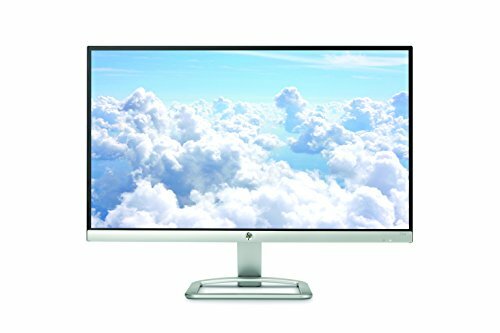 The monitors in this screen specification are mostly IPS panel based, which offer vibrant colors and great viewing angles, compared to the old TN panel models. 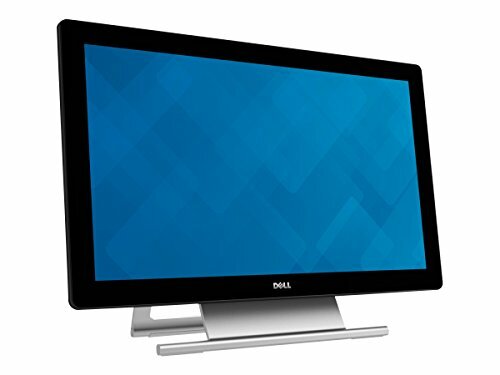 Another popular question among the prospective buyers is that why should they go for a 23 inch monitor when they can get a 24 inch version for a slightly higher price tag. Honestly, there is not much difference between both the sizes, given they are using the same display technology (LED, LCD, etc.). In fact, many times a 24 inch monitor will only have a 23.6 inch viewable display, which renders the increase in size quite useless. 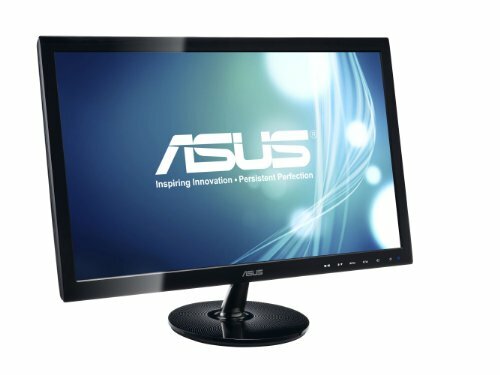 Moreover, a 24 inch monitor will have slightly greater pixel density and pixel pitch, but in practical terms, the difference is indistinguishable to your eyes. 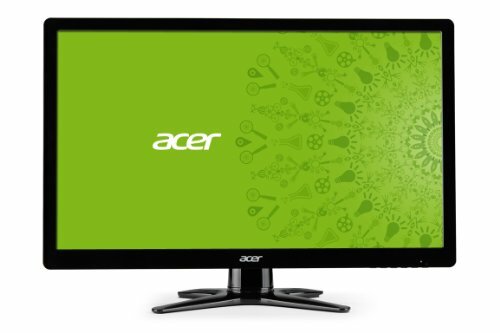 The Acer G236HL has a 60 Hertz refreshing rate, 5 millisecond response time and an HD resolution, which makes it a solid upgrade option from your older LCD / TN unit. 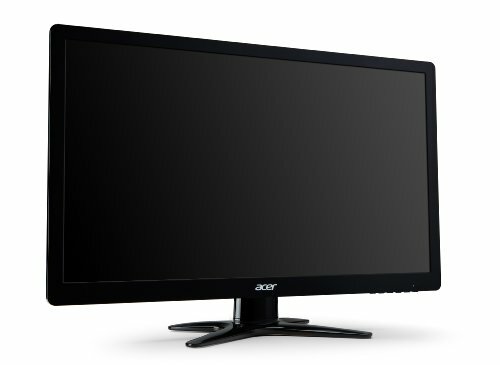 While it's positively not the speediest and it doesn't offer the clearest picture, the Acer G236HL is head and shoulders above other options in its price range. Its most alluring component is its cost. 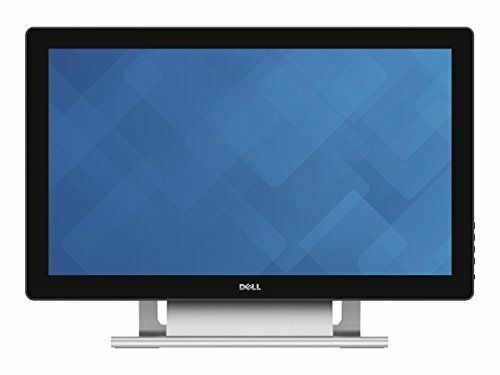 If you're utilizing an old-style screen, the cost of this product makes it very logical to upgrade your monitor. 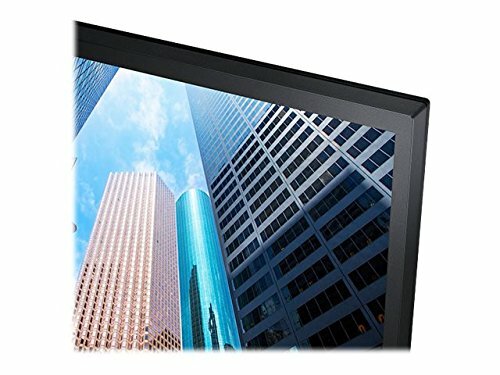 If you are getting a LED screen for the first time, you will be blown away by how bright the picture is compared to your older unit. 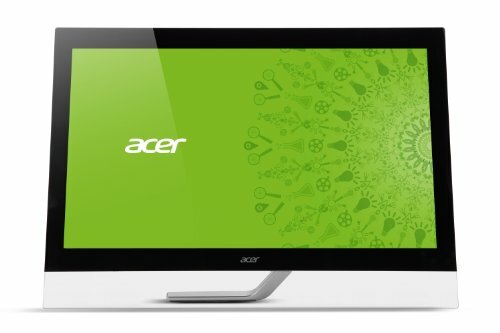 The 1080p resolution is on point and even fundamental tasks, for example, typing, are more charming with Acer G236HL because of the sharpness of the display it offers. 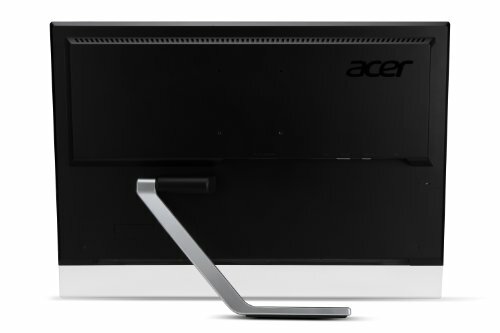 Finally, the Acer G236HL is exceptionally lightweight and even when connected to the stand, the screen just weighs a little more than five pounds. 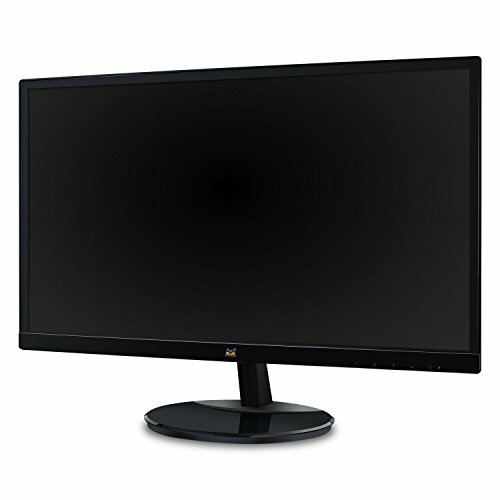 This LED monitor is an incredible and an affordable choice for individuals who are searching for something simple yet lively for work or gaming. 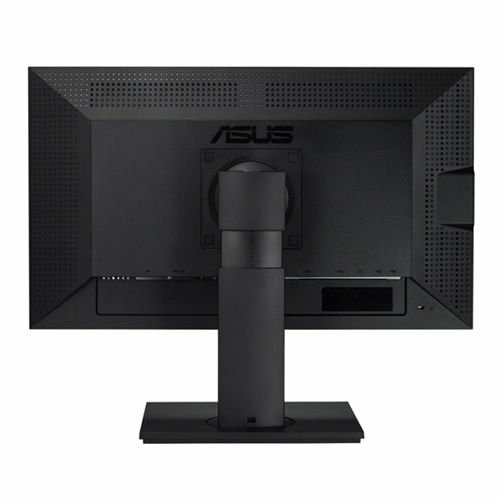 The Asus is another trending monitor in the market these days. It is great for office usage or casual entertainment. 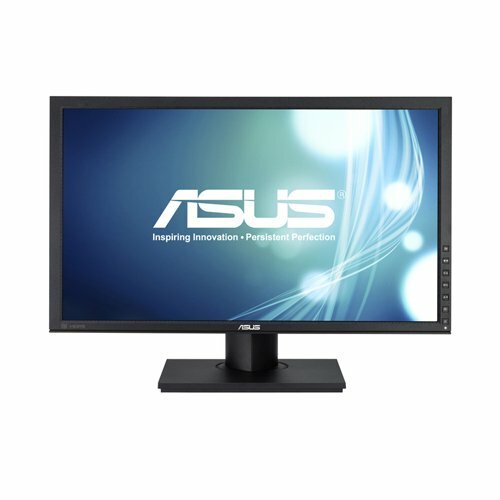 It is a full HD LED monitor, with an impressive color quality, image clearness and contrast ratio (50,000,000:1). The contrast ratio mechanism automatically alters the blacks and whites to give you the most realistic image possible. The user interface is easy to understand and quite intuitive. The aspect ratio is controllable, with two options between full screen and 4:3 ratio. 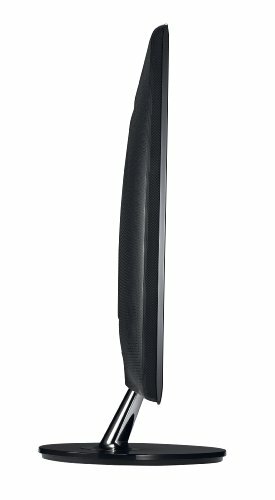 Aesthetics wise, the monitor body has delicate angles which enhance the screen itself, while the slim but robust profile of the body allows you to follow the modern minimal style, without giving up on durability. Other notable features include the Smart View Technology and Splendid Video Intelligence Technology. 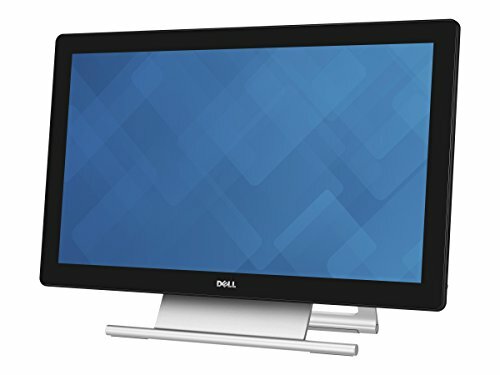 The former allows you to watch the monitor in any position you want without any compromise in image quality, while the latter is a unique system that optimizes the video image and playback performance. 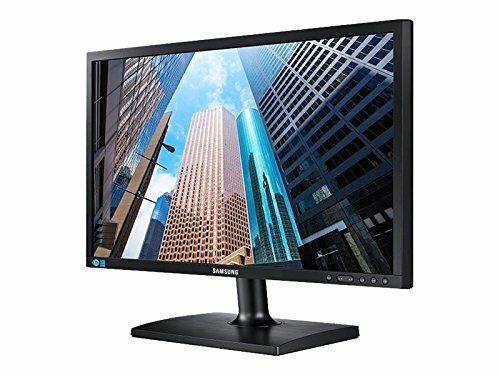 The monitor also has HDMI connectivity. 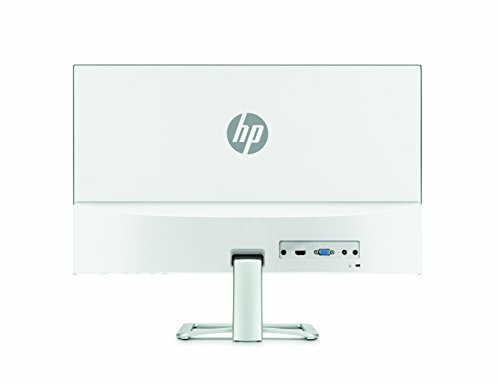 The HP is a widescreen monitor with minimal bezels and a fancy metallic exterior. 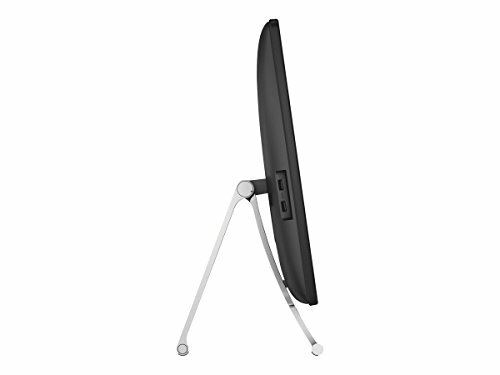 The total viewing angle is almost 180 degrees, which will allow you to have a great view from almost all positions. The colors and image quality are consistent throughout the screen and are not affected by the angle you are watching the screen from. Since it is an HD display, the image quality is quite sharp and crisp. Added to this is the five million contrast ratio, which makes up for super realistic views. 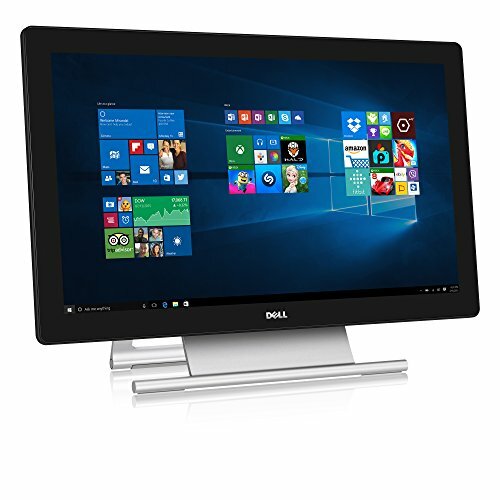 The monitor has an anti glare screen, which means that you can put it in any place and enjoy a glare free experience throughout. Features wise, the monitor is not quite exquisite. There is limited customization allowed and in most of the cases, pre-existing settings should work optimally for you. 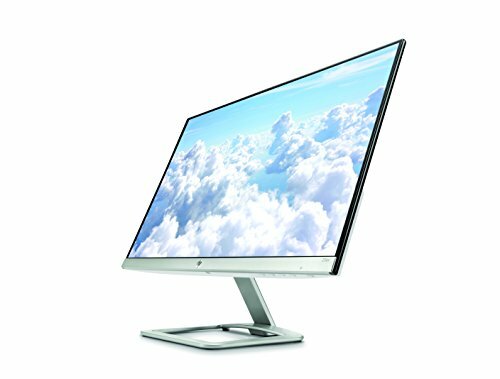 HP has designed it with a futuristic look in mind. 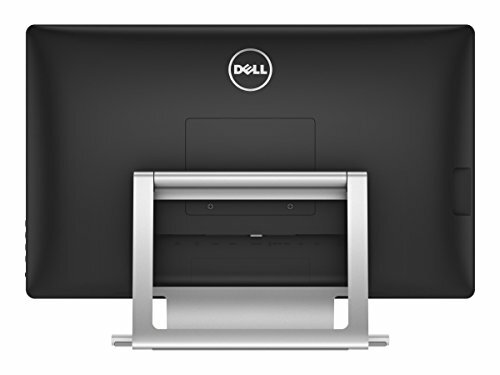 The overall footprint of the monitor is quite small and added with the square stand, it barely takes any space on your table. 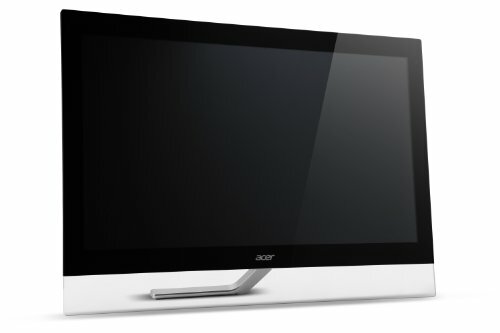 The Acer is a premium monitor and one of the pricey ones in our review. 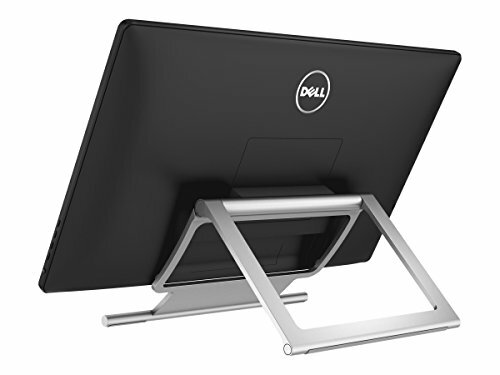 It is a Microsoft Windows certified touch supporting the monitor. It has a resolution of 1920 x 1080, which is great, and combined with the 5-millisecond response rate, it makes for a good experience (albeit, we hoped that for a premium screen the response rate would be better than this). 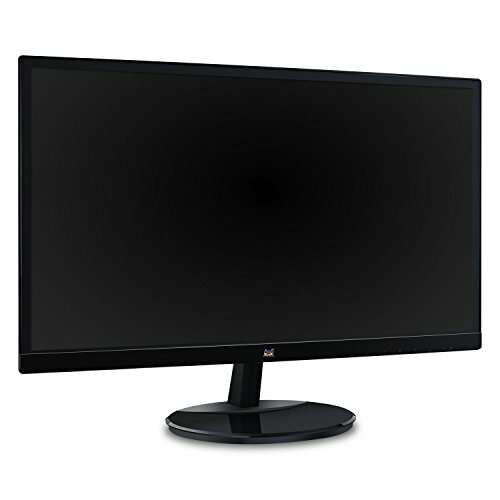 The monitor has a high contrast ratio of 1000:1 and delivers images which are rich in blacks and whites. The illumination of the screen is very high as well, measuring 300 candelas per meter square (average monitor has only 200 Cd per meter square). One of the primary factors behind the model's high price tag is its touch screen capability. It allows you to use up to 10 simultaneous touches, which come in handy when you are playing any games. 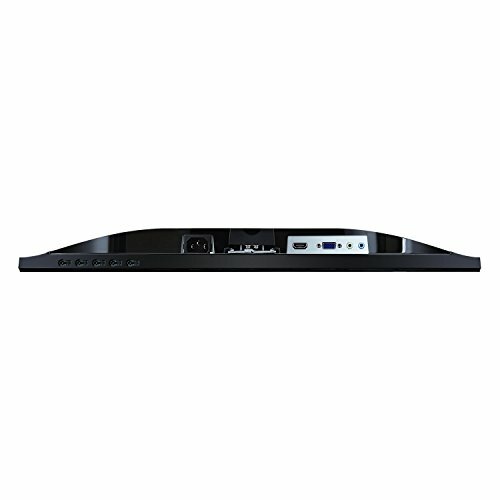 Other than this, there are other handy features like hard keys on the lower right side for controlling the monitor and various ports for connectivity including HDMI, VGA, DVI, Audio and USB support. 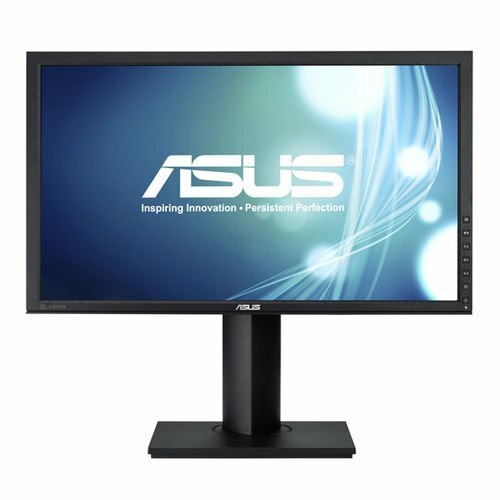 The Asus is a beast of a monitor; with 23-inches of 1080 pixels vertical and 1920 horizontal and IPS technology. 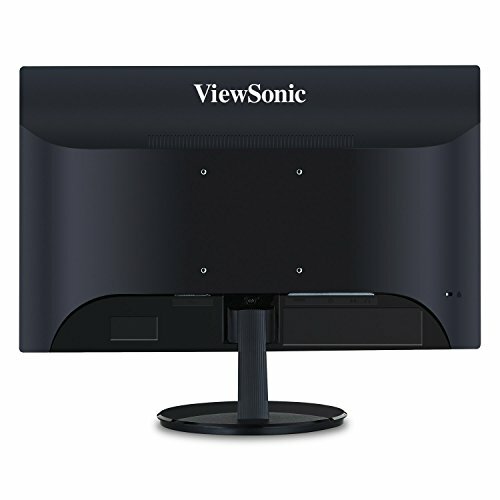 This is as real as it gets- you are not going to find any frills or fancies, just a simple yet powerful monitor aimed at fulfilling the basic requirements along with an exceptional picture. 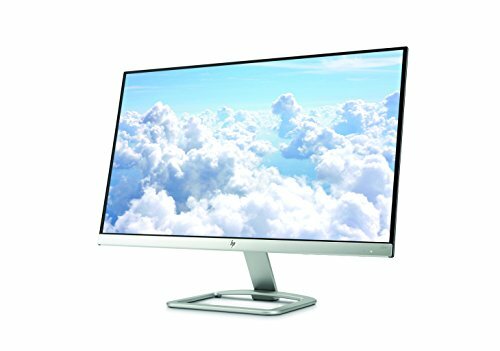 The VS239H is among the very few monitors that pass with flying colors all inversion pixel walk testings which are commendable considering that most fall between 1 and 4. Even though there is an ever so slightly motion across patterns individually, no flickering is visible. While monitors do come with an HDMI port, the quality of the images rendered has no guarantee. A PlayStation 3 was connected and checked for the HQV Blu-ray test and 24p capability, and the video output was not the absolute best, but nothing to scoff at either. 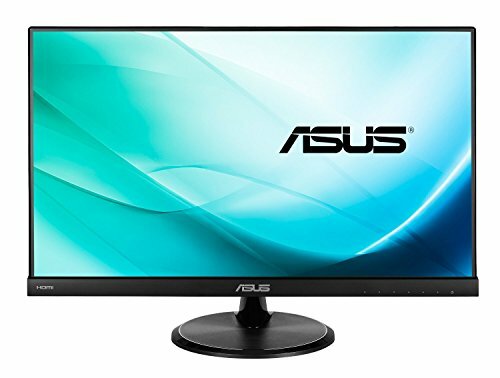 If you are a serious gamer and are seeking a dedicated gaming monitor, this is one definitely worth checking out. 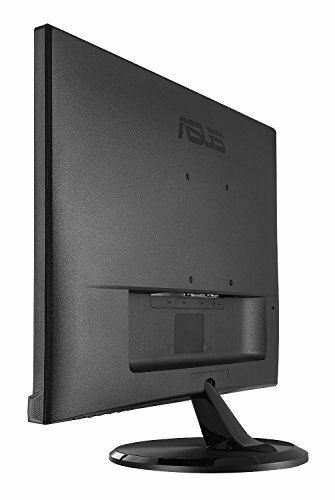 The ASUS is a gaming monitor, designed to conquer in the gaming category. The visuals delivered are seamless and stunning- with 1920 x 1080 resolution, thanks to the In-Plane Switching technology panel with LED backlight. The viewing angle is 178-degrees wide and the pixel density is 157PPI, producing fantastic visuals that are realistic and sharp text. 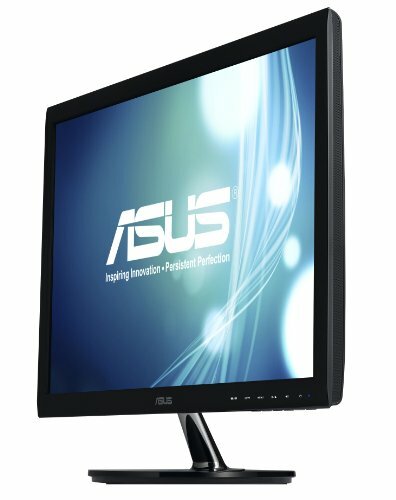 The contrast ratio is 80,000,000:1, which is absolutely brilliant for a budget gaming monitor. Whether you plan on streaming videos or playing video games, the ASUS VC239H will give a great playback every time due to its 60Hz refresh rate and HDMI, D Sub and DVI supported signal input. 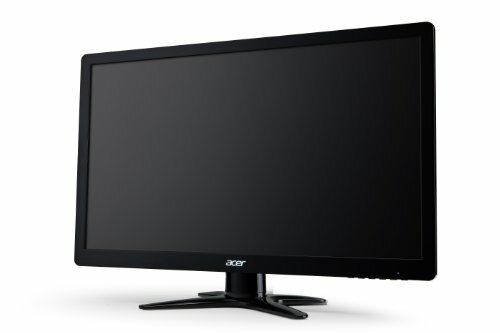 The monitor also has quite fancy looks with a slim bezel and a black body. 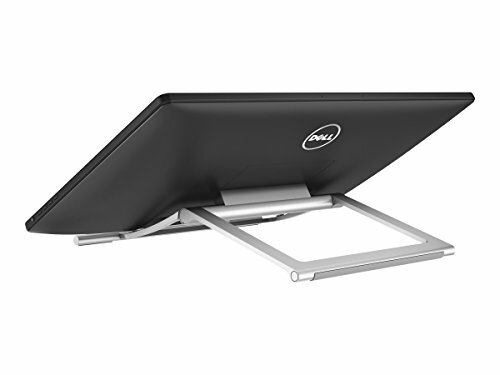 It can be tilted according to your height and takes up less space on your desk. 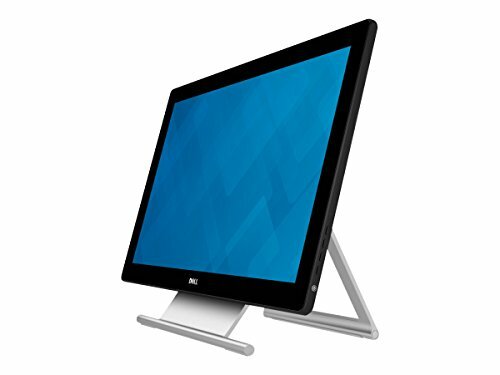 The PB238Q screen is a 23-inch versatile monitor designed for visual clarity. 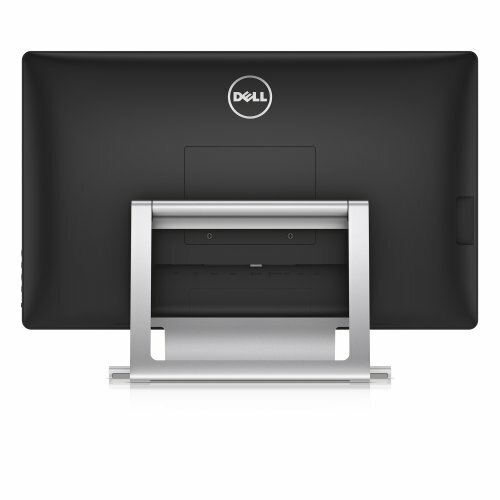 The monitor is equipped with an IPS panel with a wide range viewing degree angle of 178 to easily adjust and share what you’re viewing with others. Furthermore, the sRGB color space has 100% reproduction to output finely detailed graphics with an accurate color depiction. 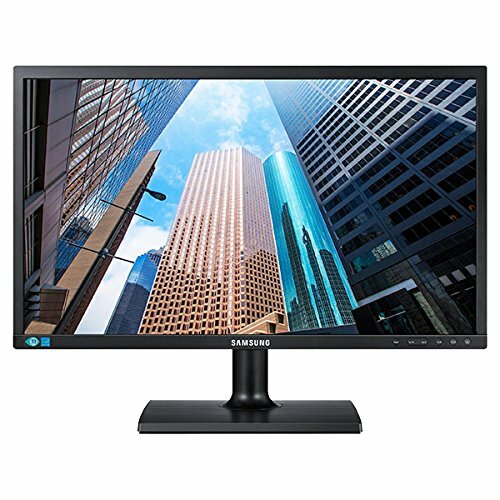 The PB238Q’s connectivity is rich- with multiple ports including DisplayPort, HDMI, D-sub ports , nd DVI. 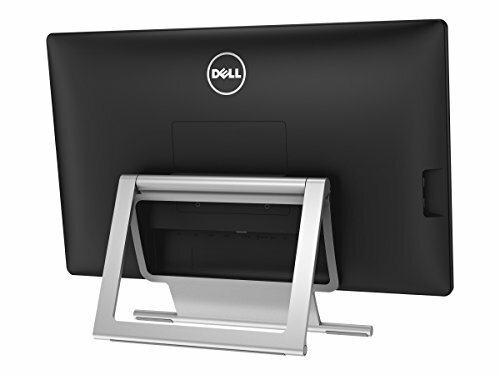 There are also four USB 20 ports on either side of the screen and a bottom panel for the user to easily connect external peripherals like a keyboard, mouse, USB drives, digital camera etc. The ASUS Smart Contrast Ratio of 80,000,000:1 ensures the darkest blacks and brightest whites in images and videos. 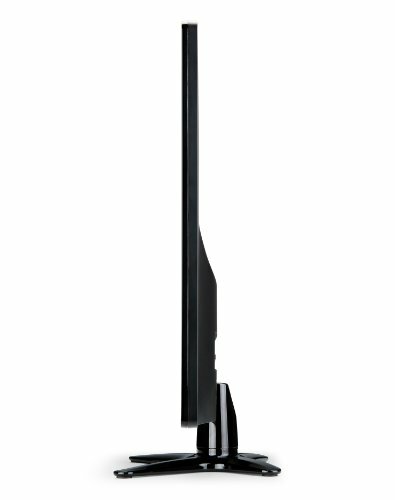 For sound, dual 2-watt speakers are built-in for pure audio playback. 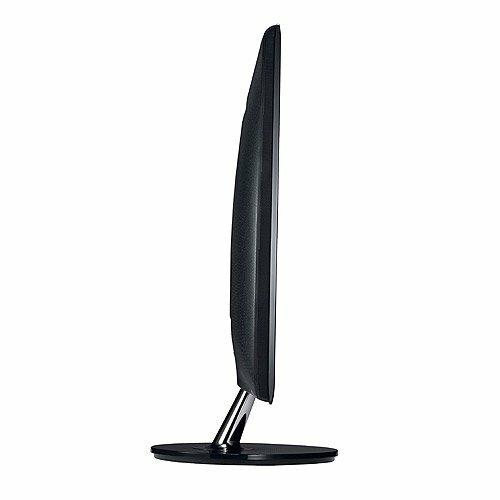 The ergonomics of the screen are quite flexible, so feel free to tilt, pivot, swivel and adjust the height according to your liking. 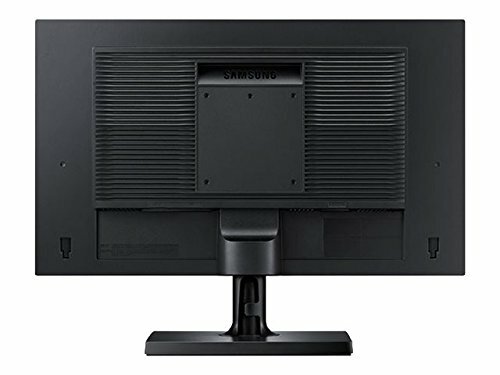 Samsung’s is a great value for money monitor. It has a sleek black exterior, with a low profile, giving a minimalistic look. 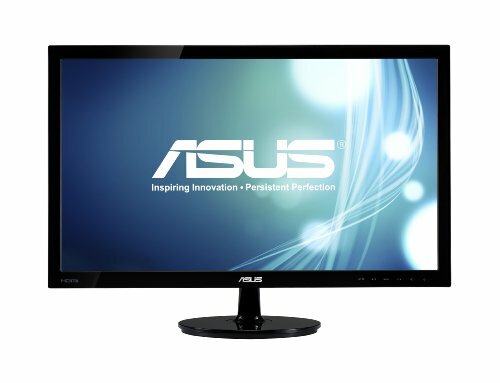 The monitor has a display resolution of 1080p, which is quite the standard as we have seen. 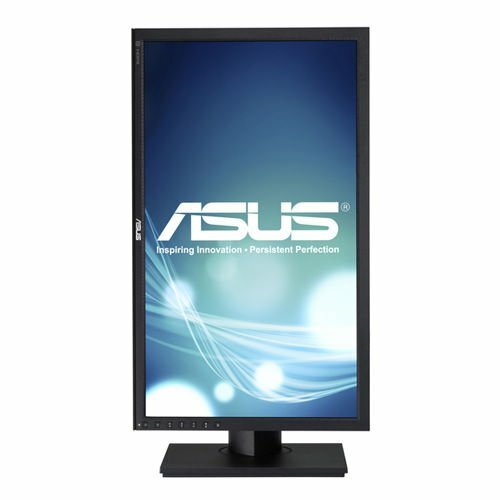 There is an LED backlit panel that gives sharp images and bright colors. 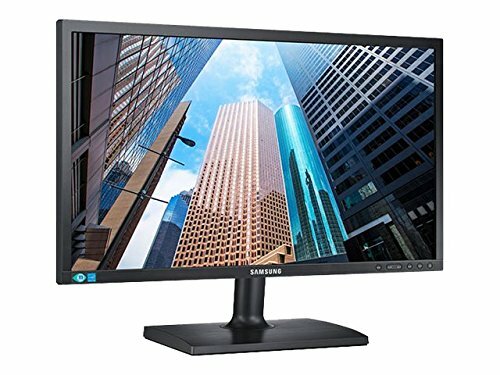 The Mega Infinity technology of Samsung helps improve the contrast ratio in even the smallest of details, while the Magic Angle technology mains a uniform color quality even when you are viewing the display from an off angle. 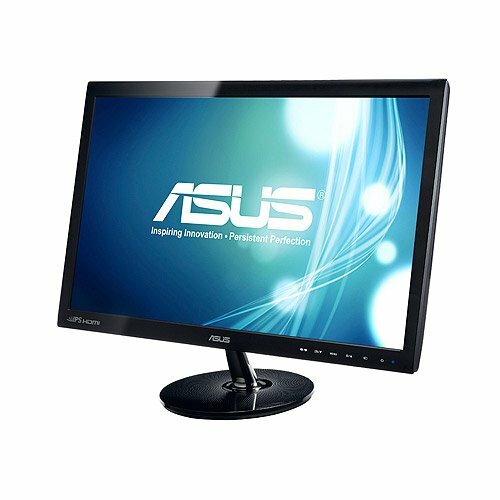 Unlike most of the PC monitors, this one comes with a dedicated gaming mode. 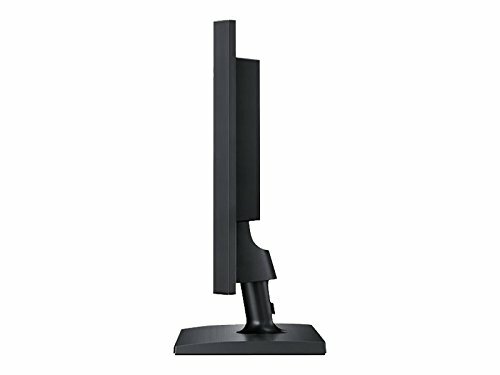 Of course, this doesn’t make it an out and out gaming monitor, but it is still able to enhance the gaming experience a little more than when in the normal mode. Perhaps hand in hand with the gaming mode is the integrated stereo speaker, which has a good sound quality. 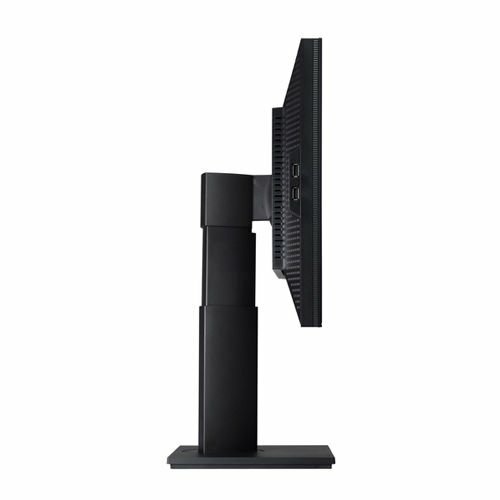 The monitor is compatible with HDMI, VGA and DVI technology and can be mounted on VESA. Overall, it is a good laptop for office use and part time gaming. 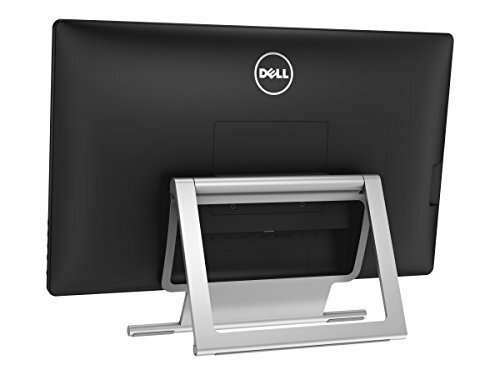 The Dell is a 23-inch sleek touch screen monitor packed with a range of connectivity ports, an IPS panel which delivers accurate and rich colors, and 10-point touch system. 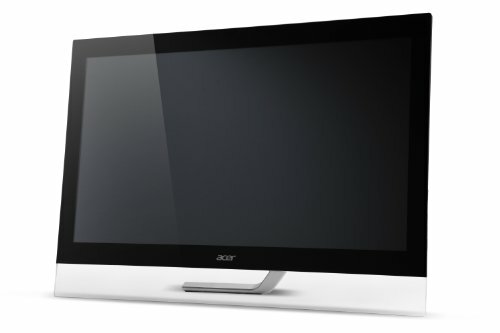 Like most touch-screen monitors, the price is higher-end. The picture quality is superb and caters to all viewing needs. The touch on the screen is very responsive and natural, and does not require extra pressing or repeated touches. There are all the ports you can need; VGA, DP, USB and HDMI inputs along with MHL connectivity which allows displaying of your smartphone or tablet directly on to the touch screen monitor. You may also charge your handheld device at the same time. The power consumption isn’t any more than that of a regular monitor; with 17W power consumption keeping the energy costs stable. 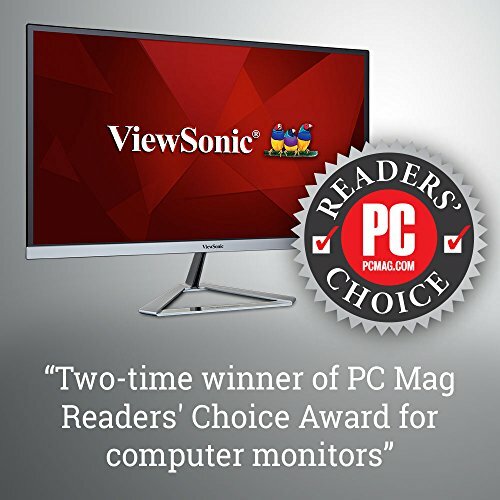 ViewSonic is a veteran monitor manufacturer and has developed a reputation of being a reliable choice for years. 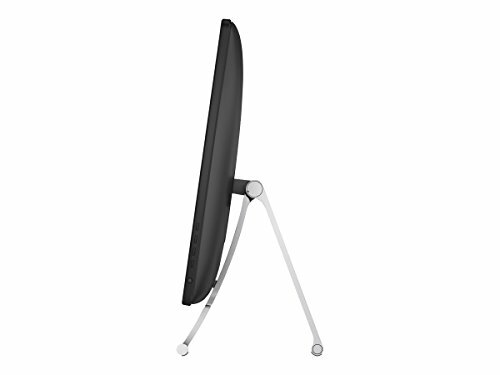 The VA2359 is the company’s latest 23 inch offering. 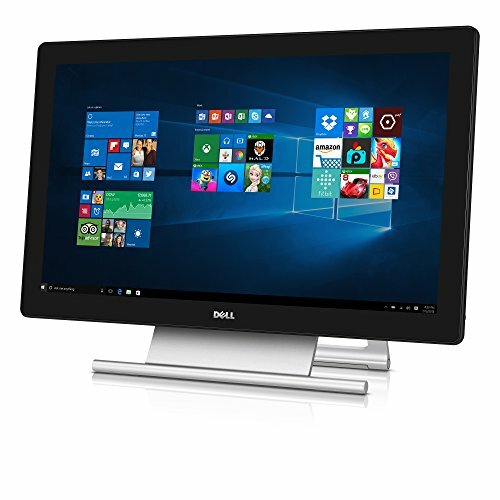 It comes with a full HD 1080p resolution display, backed by an IPS panel technology. 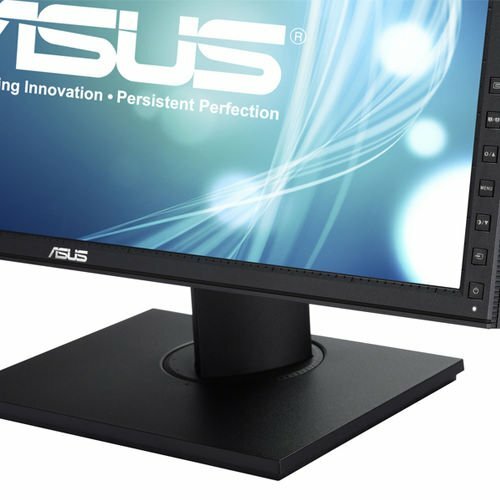 The color scheme of the monitor is quite vibrant, while the image is superior and crisp. 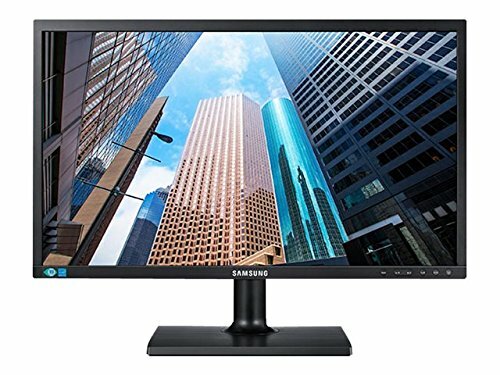 Since the monitor screen is wide and can accommodate all (178/178) angles of viewing, there is no distortion in color or image quality. The contrast ratio is 50:1, which allows you to enjoy quite realistic images. 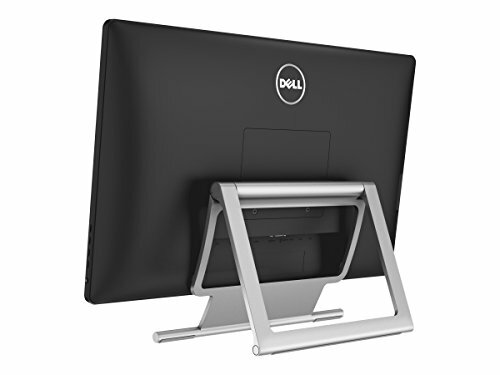 There is an added anti-glare coating on the panel to prevent any light nuisance while you are enjoying the views on your monitor. 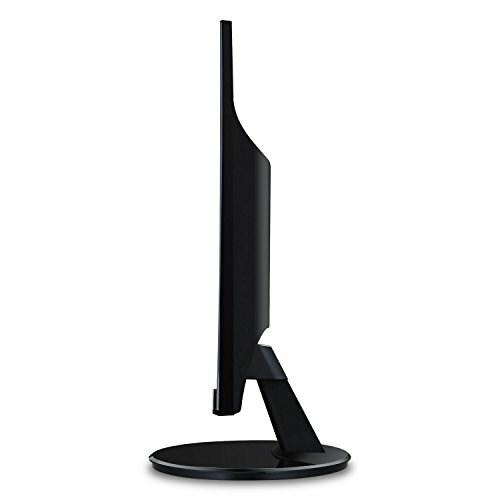 Speaking about the aesthetics, the monitor has a stylish bezel and frame design, with a muted black finish. 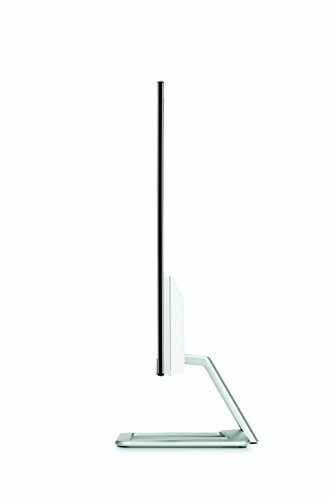 It has been designed to tilt easily and accommodate most heights, and it can be mounted on VESA if you are running out of space on your desk. 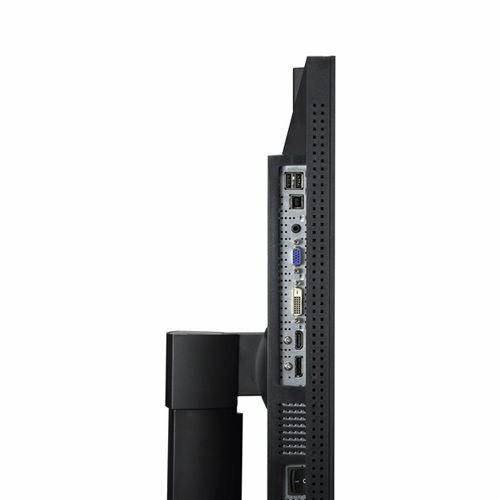 Connectivity wise, the monitor is compatible with HDMI and VGA inputs, which should be sufficient to almost all the users. There are even two embedded speakers to add to your experience. 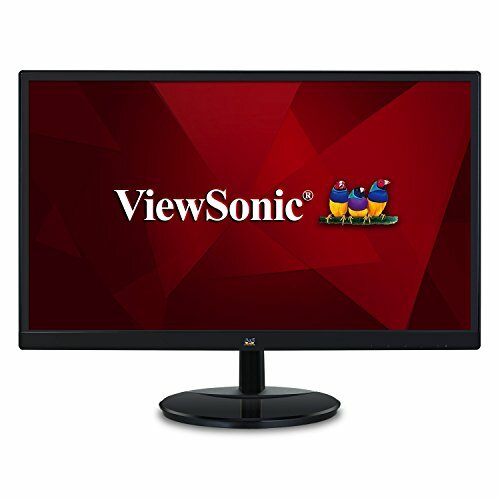 Like all ViewSonic monitors, this one too is Energy Star certified and comes with a 3 year warranty. 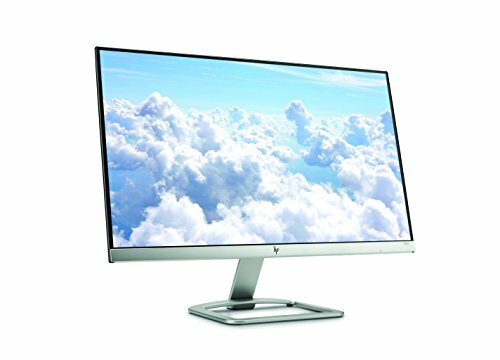 The good news is that majority of the 23-inch monitors on this list are not only supremely aesthetically pleasing but on average, have specifications that exceed expectations. The price range is mostly budget friendly, with a few exceptions. 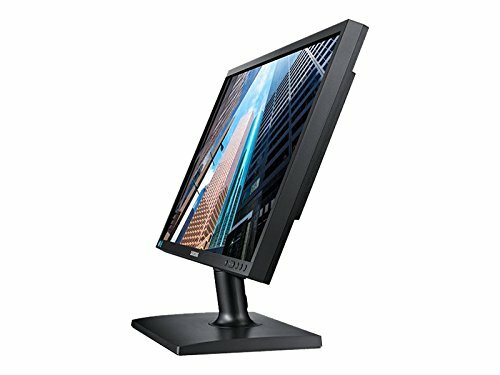 Where 24-inch monitors are found in a wide price range, on the other hand 23-inch monitors are on the market only up to a certain price point. 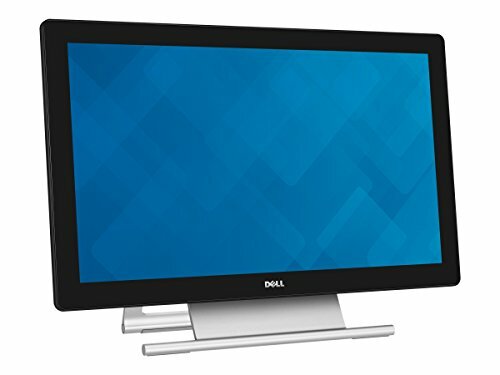 All the monitors are best suited for a specific viewing purpose but on the whole, are perfect for home, office or just casual entertainment.